As much as I love garlic, I don’t know how I ever lived without this little contraption. 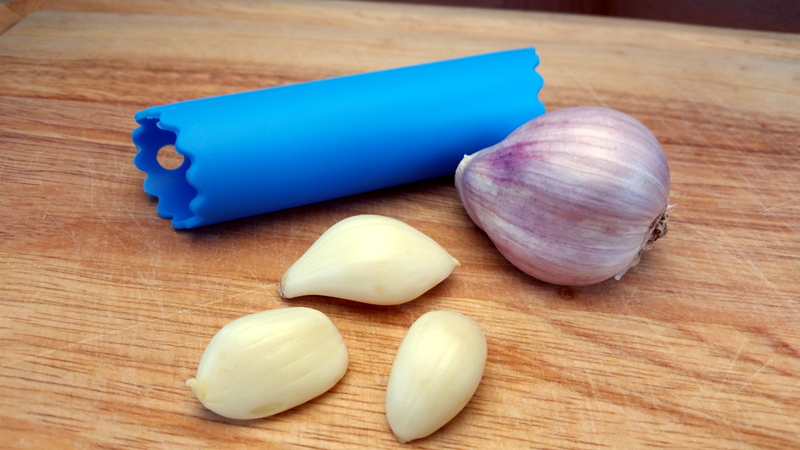 All you have to do is put a clove of garlic in the tube and roll it back and forth on the counter for a couple seconds while applying a little pressure. What you come out with are the peeled cloves you see in the picture.